One word to describe these: AMAZING. 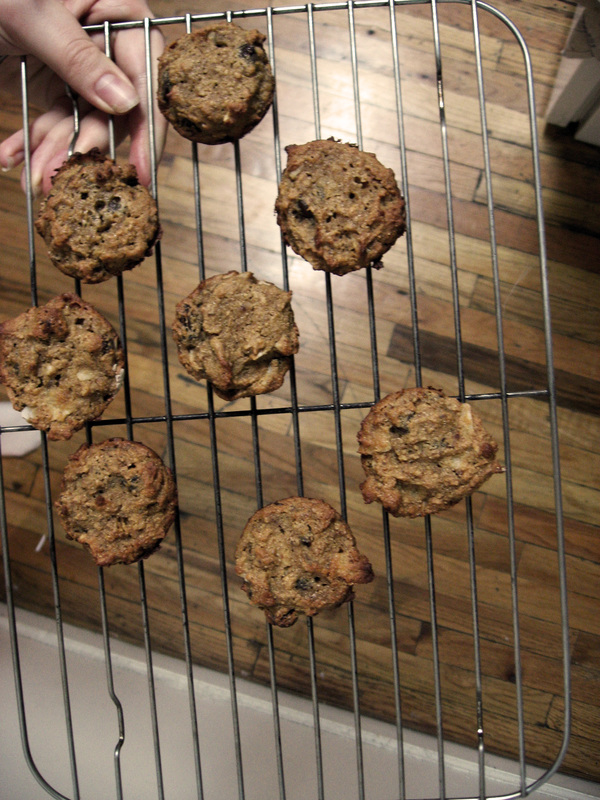 These came into existence when I was searching to make a grain and nut free cookie. 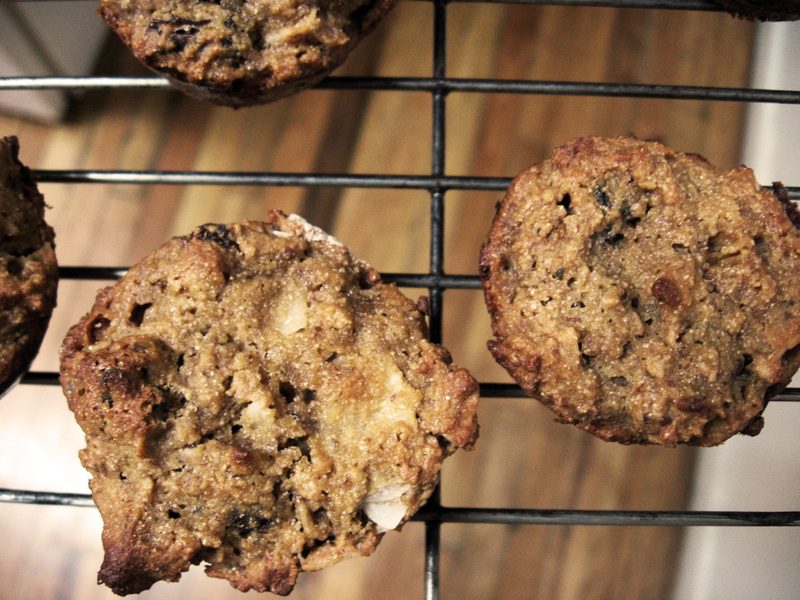 I came out with a healthy, high protein cookie-muffin-scuffin-mound-nougget. YES. Dense yet satisfying.. they quickly disappeared! Chickpea flour, also known as gram flour is a new exciting world waiting to be explored. How many people have thought of this ingredient past hummus? I can’t wait to try it in a pizza crust. Combine the flax and water in a bowl and set aside for a few minutes to thicken, mix the dry ingredients together in a large bowl. In a smaller bowl (or your bowl with the flax) combine the wet ingredients then add everything to the dry and stir until combined. 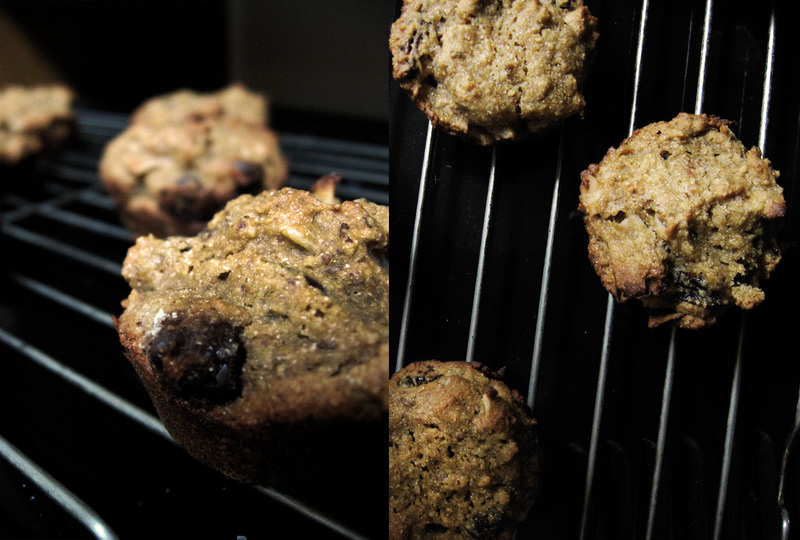 Stir in the raisins, chocolate and coconut last. I spooned my batter into a mini muffin tin, any size will work and baking times will vary. At 350 degrees bake for around 20-30 mins depending on your oven. Keep an eye out, when they begin to get golden and crispy around the edges they are done. 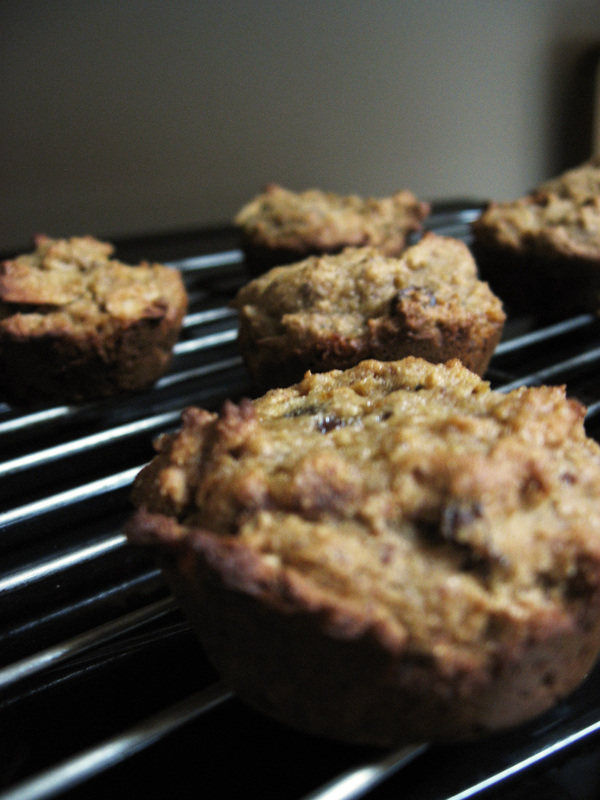 This entry was tagged applesauce, bean flour, chickpea flour, chickpeas, chocolate, coconut, cookie, dessert, GF, gluten free, grain free, gram flour, guilt free, healthy, high protein, muffin, raisins, snack, vanilla extract, vegan, vegetarian. Bookmark the permalink.